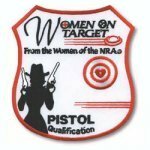 A great opportunity for women of all ages, to learn all about firearms, and to gain confidence in newly-acquired shooting skills. 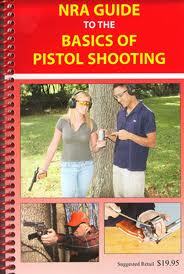 Second part of the NRA's new Basic Pistol blended learning system. Course consists of question/answer class-room review. Range hands on live fire, to complete your training. Students must have completed the Phase I training online, prior to taking this class. Register at Find an NRA Training Course near you. The Basic Rifle course is fourteen hours. In it students will get the NRA's The Basics of Rifle Shooting handbook and intensive lessons in safety, gun handling, fundamentals of rifle shooting, practical exercises on the firing range, cleaning, storage, and a summary of rifle sports and activities. This course, because of its narrow focus, can be completed in four hours. 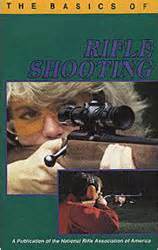 Students will get the NRA's The Basics of Rifle Shooting handbook and quick practical lessons on the safe use, cleaning, and storage of their rifle. The practical exercise only covers a single firing position. As the number of participants or firearm types increases, the course will take proportionally longer. The course is eight hours, the amount of information presented, and the probability of intensive question and answer sessions on the included topics, makes it likely that the course will take longer. 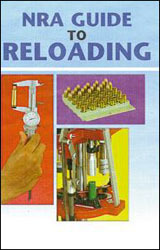 Students will receive the NRA Guide to Reloading handbook and intensive lessons on the basics of reloading. This course was developed in response to women nationwide who requested crime prevention and personal safety information. Today, Refuse To Be A Victim’s life-saving message is carried to hometowns throughout America and abroad by a dedicated group of certified instructors, through personalized training, publications, and via the Internet. The program directly addresses the goal of promoting both public safety and law and order.